> Projects > National Farm Workers Service Center, Inc.
National Farm Workers Service Center, Inc. Client: National Farm Workers Service Center, Inc. 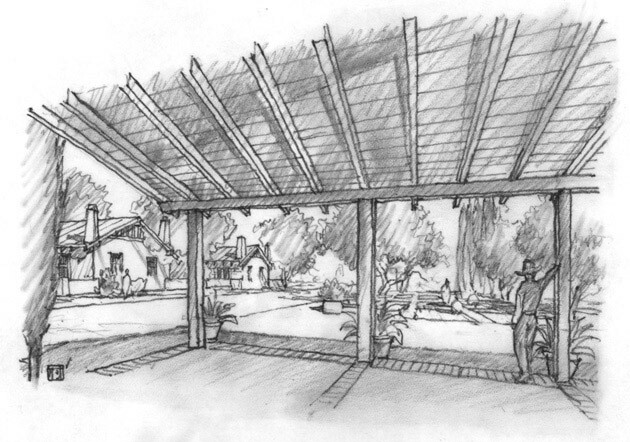 Located on a twenty-acre parcel of land on the south edge of an agricultural town in Central California, the project creates an affordable housing community of 81 homes for farm laborers and their families. 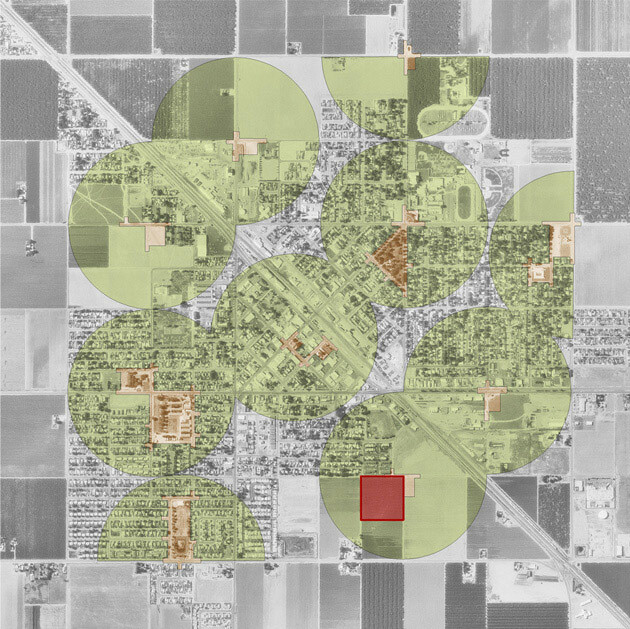 The design forms a cohesive and walkable neighborhood with a distinct sense of place, while at the same time complementing and blending into the town of Shafter. 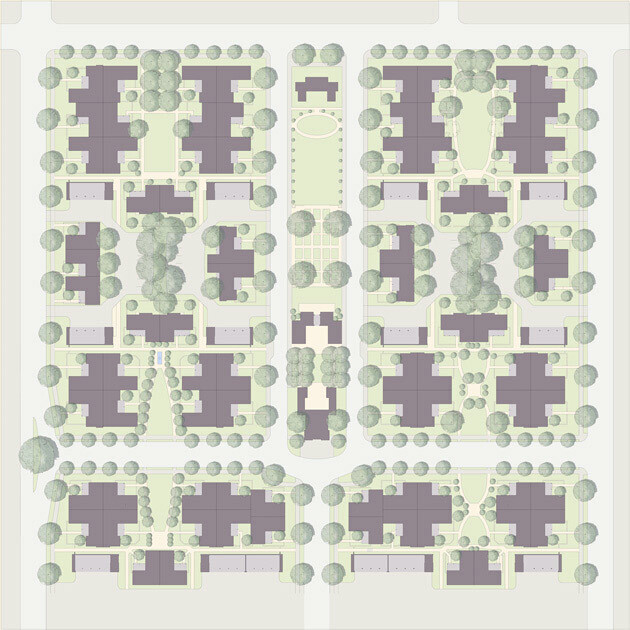 The plan follows Shafter’s historic pattern, with homes facing onto a residentially scaled street. Porches and enclosed patio courts face onto the public realm of the street and shared courtyards. The center of the site is a large public area comprising play areas, vegetable gardens, laundry facilities and a community building. The buildings incorporate passive environmental systems that include green building materials, cross ventilation, solar orientation and gray water usage.